Subaru announces they have recently sold their 1 millionth Subaru Forester in the U.S. market. It was the fourth-generation 2014 Forester to push the SUV over the top. The Subaru Forester has reached a big milestone in its first 15 years here in the U.S. market. Subaru has announced they have recently sold their 1 millionth Subaru Forester in the U.S. market. 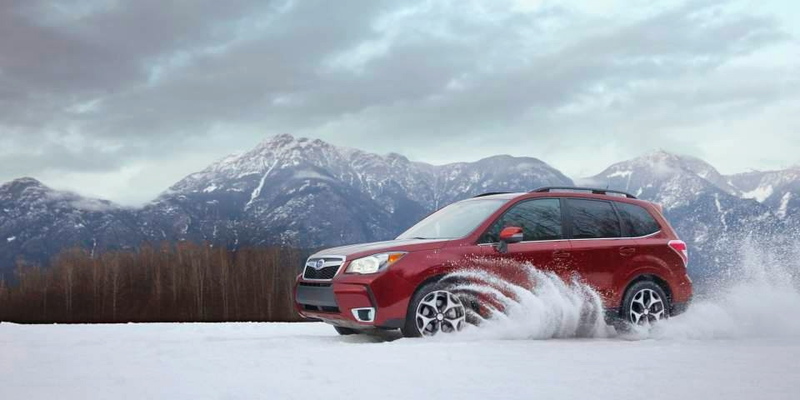 The 2014 Subaru Forester was the model year that pushed the Forester over the 1 millionth sale mark. The fourth-generation has been a huge success and continues to propel Subaru to new records. The Forester was first introduced at the Tokyo Motor Show 1995 as the Streega concept. It was first sold in Japan in 1997 and then launched here in the U.S. market in 1998. Forester was was one of the first “crossover” SUVs to emerge and was built in the style of a car but had a taller stance, higher seating, and Subaru’s all-wheel-drive. It used the Impreza platform but with the larger 2.5-liter four-cylinder engine from the Outback. It was designed with characteristics that have made the Forester a success from the beginning. Forester started with the core values of good visibility, cargo carrying ability and versatility. It has remained true to those core values for 15 years. Up until the 2014 model year, it appealed to a niche market of loyal Subaru buyers. But with the new fourth generation, it is attracting a new buyer who has never purchased a Subaru before. A new generation is finding that the Forester is a good vehicle that fits many needs. The secret to Subaru’s success is that they stick to the basics and then they keep improving on them every year and with every new generation. Another core value is staying with their excellent Symmetrical all-wheel-drive. And the new Forester gets a new X Mode for extra traction. The revamped 2014 model mid-size SUV has won much praise for “space- efficient design, large windows, and big square doors.” Those and other features are helping it outsell the new Ford Escape, Honda CR-V, Toyota RAV4 and Mazda’s CX-5. Subaru also puts their efficient Boxer engine that sits low in the chassis that gives the Forester better driving dynamics in the SUV. The engine features the latest fuel-saving technology which makes the crossover more fuel-efficient. Subaru also incorporates intrinsic value into the Forester. They pay attention to details like how scenery reflects on the hood and how it affects stress on the driver. The Subaru Forester has reached a big milestone since 1998 here in the U.S. with 1 million Foresters having been sold. The 2014 Forester is selling like hotcakes and it’s building on the successful story. Instead of celebrating, Subaru is most likely figuring out how to make the Forester even better. Stay tuned to Torque News for the latest Subaru Forester news.